CIA director Gina Haspel issued a posthumous apology Wednesday to the family of Osama bin Laden in light of new evidence which conclusively clears the former Al Qaeda leader of any involvement whatsoever in the 9/11 attacks. “The U.S. Central Intelligence Agency extends its most sincere and heartfelt apologies not only to Mr. bin Laden, but also to his grieving family and the many friends who stood by his side,” said an emotional Haspel, acknowledging for the first time that the CIA had based its entire 9/11 investigation on the testimony of a single, questionably reliable eyewitness who later recanted. “Our organization acted in haste and without full knowledge, and in doing so, took the life of a loving husband, father, businessman, and highly effective community organizer. We understand there is nothing we can do or say will bring Osama back, but we hope the bin Laden family will accept restitution of $18 million in recognition of their pain and suffering. 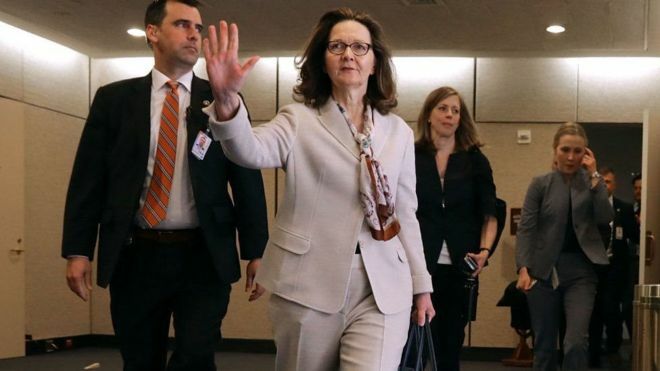 No one deserves to endure what you have been through.” Haspel further confirmed that the agency was now operating under the assumption that Zacarias Moussaoui acted alone in perpetrating the events of 9/11.